There are large contingents of Americans who are afraid they can’t open their mouths without offending someone. People who feel nervous to interact with those who act, look, and live differently than they do. Who believe political correctness has gotten so overwrought, so complicated, that there’s simply no way to engage with other cultures thoughtfully. “Political correctness” often just means being conscientious around people who are not you, yet some Americans feel it discourages them from traveling and exploring other cultures, lest they say the wrong thing. And this makes the world smaller, more stagnant. So it’s good to remember that Anthony Bourdain was not cowed by political correctness -- even as a straight white man who was enormously privileged, wealthy, and famous. Anthony Bourdain complained a lot when he traveled. Anthony Bourdain also loved to offend people. "He was constantly evolving and constantly trying to right his own wrongs." There are plenty of well-meaning white dudes in this country who would like to use their privilege to signal-boost the stories of those who have less -- but they may not be quite sure of their role, of when and how it’s helpful to speak. Bourdain left a roadmap, in the form of hundreds of hours’ worth of interviews and recorded footage. His approach to engaging with others during his travels felt grounded in ideas that were not overwrought or complicated, but simple: His jokes didn’t punch down. His complaints were not rooted in classism. He never assumed he knew someone’s story better than they did. He never forgot he was a guest. When his preconceived assumptions and biases were torn down, he acknowledged them and let them go. You don’t need CNN cameras following you around to travel by that same code. Making mistakes when you travel is inevitable. Bourdain showed us how to own them. Consider the frequency with which Bourdain willfully engineered interactions around the world that he could have disastrously botched in matters of race, class, politics, and religion. In the golden age of Outrage Twitter, someone in a similar position could have been dragged weekly from one end of the internet to the other. Yet since his death by suicide at age 61, Bourdain is being rightfully remembered as an advocate -- for women; for immigrants; for the Mexican restaurant workers who carry the entire industry; for addicts; for the humanity of Iran and Palestine and West Virginia. It’d be nice if we all had an innate, automatic social conscience wherein it occurred to us, organically, to consider the needs and perspectives of people whose identities we don’t share. But more often we have to pause and manually remind ourselves to factor them in, and many of us have spent the last couple of years learning as we go. You might be guilty of these too, especially when in unfamiliar territory -- inadvertently offending a host at the dinner table, bringing up Hurricane Katrina when you’re definitely not supposed to bring up Hurricane Katrina. Mistakes happen; Bourdain taught us how to learn from them, to grow as travelers, and to remain respectful when confronted with the unfamiliar. 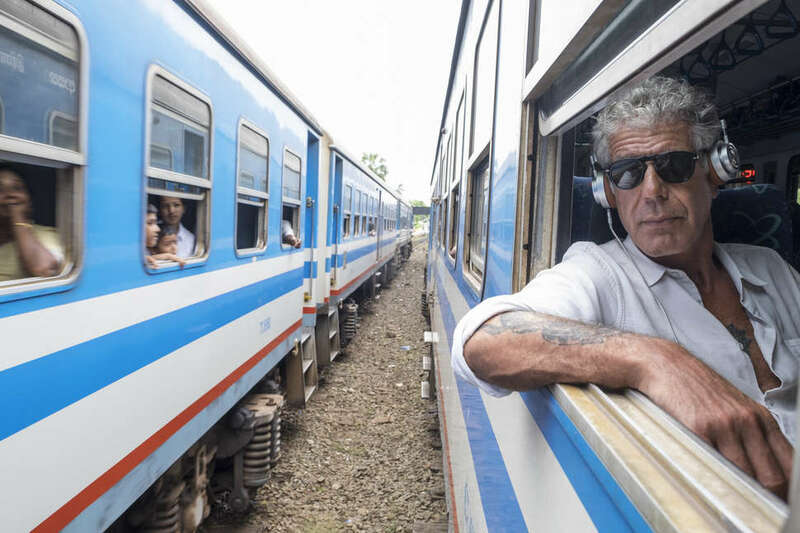 It’s to Bourdain’s immense credit that the travel coverage he gave us was as authentic as he could possibly make it. He knew, and discussed on numerous occasions, that the idea of “authenticity” in travel is a moving target. While filming, he declined to pose things, to reshoot introductions or candid interactions the camera crew missed. Remember that Sicily episode when he thought he was going fishing, and a helpful guide dumped a bunch of dead sea creatures into the water, assuming everything would just be edited to look like Bourdain, master of the sea, had caught it? Bourdain, who’d neither asked for nor wanted this, announced his mortification and left to shame-spiral into a pool of Negronis. The pursuit of “authentic” travel doesn’t mean we should manufacture it. This seems like a silly thing to say, and yet people keep coming back from their trips with a phone full of selfies with Klonopin-stuffed tiger cubs, and locals whom hotels have paid to hang around the lobby in indigenous dress. We don’t learn about the world this way; we just perpetuate a tourism industry that defaults to selling our own imaginations back to us. "This preconceived notion of how everything's supposed to be -- that's not the approach Tony took to stories." In 2007, Bourdain visited Xi'an Famous Foods when it was just a single food stall in a basement in Flushing, Queens. Since its appearance on No Reservations, Bourdain’s Travel Channel show at that time, the business has sprouted 11 additional locations across New York. Upon hearing of Bourdain’s death, Wang, grieving, announced that the store would donate 100% of the day’s profits to the National Suicide Prevention Lifeline. He raised more than $73,000. It’s usually people with the greater socioeconomic privilege doing the traveling, and the ones with less being traveled to. Telling those stories -- even just framing photographs -- is a hard thing to get right. You want to show how people live without exoticizing them; acknowledge your power imbalance without being gross about it. Almost everyone is bad at this. Bourdain was good at it, and he was good because his stories showed us not just the ways people across the world are different, but the ways in which we are the same. Bourdain once said in Parts Unknown that as he got older, the cravings he got were for foods that held an emotional resonance. Anyone who’s seen his shows -- A Cook’s Tour, The Layover, No Reservations, and Parts Unknown -- knows they were only ever nominally about food. And not usually the “best” food, as is the standard formula for other franchises in the genre. They were about the food that might on an average day fuel average people, the food from which you could trace their history and politics. Food that marginalized and oppressed communities had created from what was available or alloted. Family recipes. Home-cooked meals. An episode where Bourdain visited your absolute No. 1, first-round draft pick travel destination would still only be the second-best episode you could watch. The first would be one where he visited your hometown, or at least a place you know deeply and love. You know how your home looks in real life, and you know how other people’s homes look on his shows. So if you were lucky enough to see how your own home looks through the same lens -- with a narrative, with a soundtrack, with someone pointing to the small good things and verbalizing how they are special -- you can arrive, sort of algebraically, at a much closer idea of what other people’s homes are like in real life, too; what the equivalent of this or that would be in your own city. Bourdain, who devoted episodes to the Bronx, New Mexico, Los Angeles’ Koreatown, the Mississippi Delta, Nashville, Miami, Cape Cod, Chicago, coal-country West Virginia -- it goes on -- knew this. It is the very best thing he gave us: not just what it is to see the world, but what it is to be at home.